The hiking in King’s Canyon is superb! 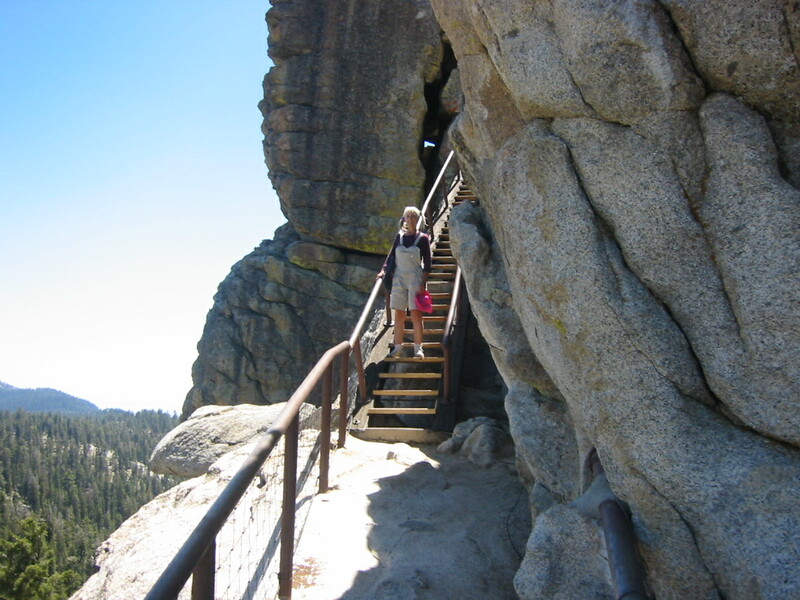 There are endless miles of hiking trails; some to lakes or waterfalls, some to the biggest trees on the planet, and others to fabulous view points high above the earth. 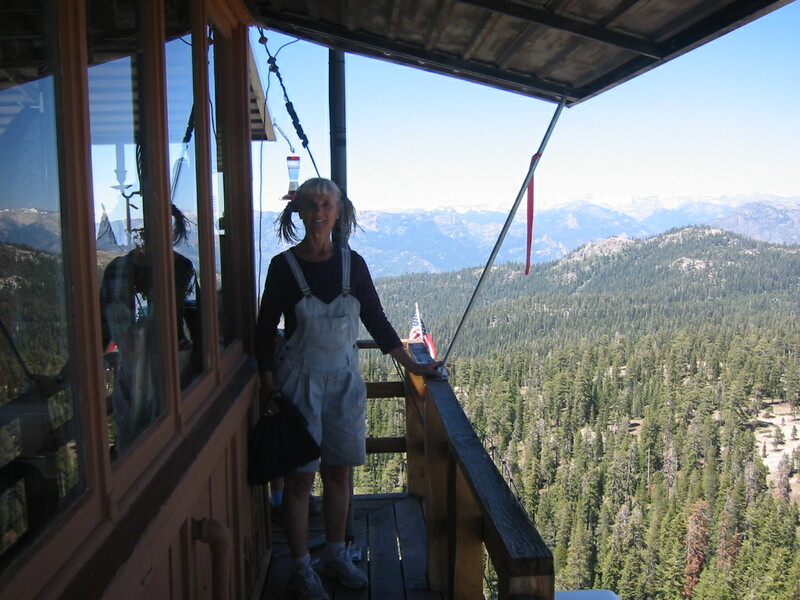 One such viewpoint is the Buck Rock Lookout Post. At 8,500 feet it is a bit like being in an airplane. 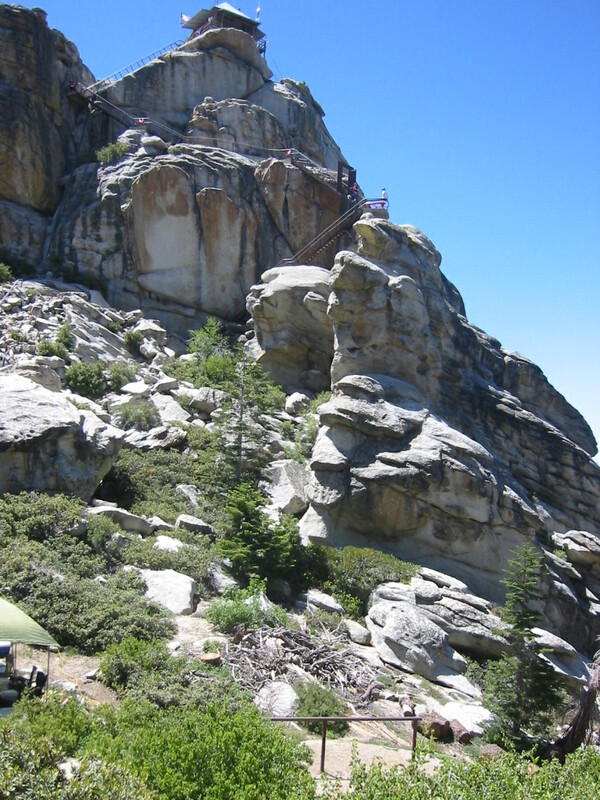 The post is used as a lookout for fires and the park employees sleep there. Check out these photos and click back and forth for a larger view. I was clinging to the railing to be sure!! #1 The lookout from ground level; click for full view. 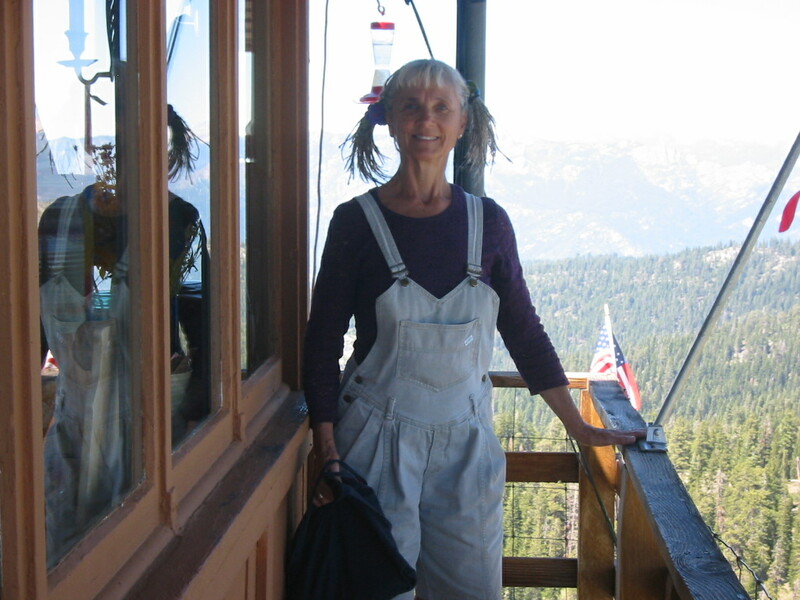 #4 Close up, check out the bird feeder behind my pigtail. 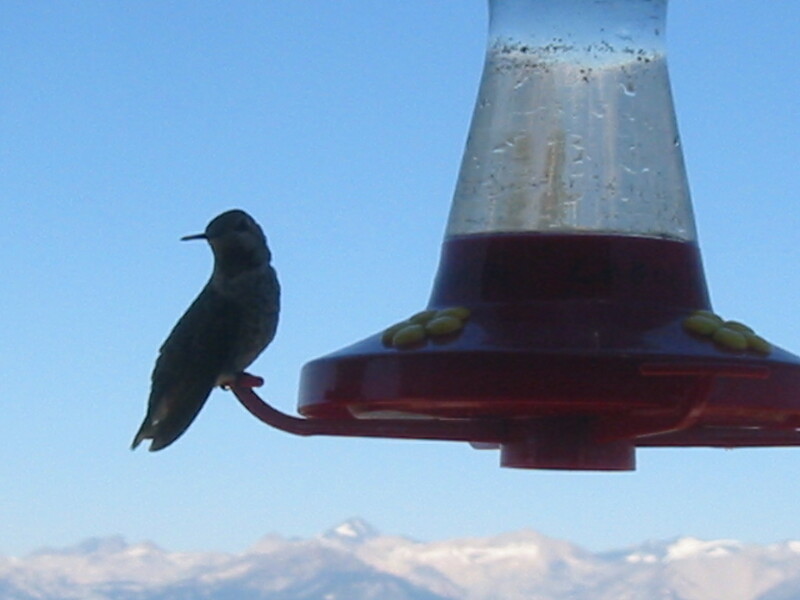 #5 At 8,500 feet this hummingbird was inches from my camera! 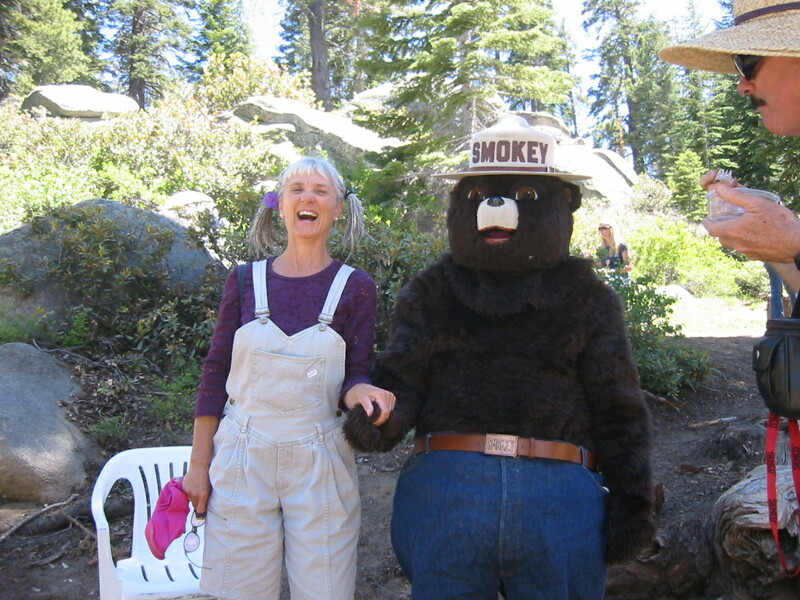 #6 Back at the base with Smokey the Bear, ambassador of fire safety. Yes, it was sooo kool to have the bird inches from my face! I hope all is well in San Diego! You should consider a visit up here to the Sierra’s. Had a great time in the redwoods up in Humboldt County. Yes, Nature is amazing. I’m glad to know you have had similar experiences. Remember to share them with your son!